Friday March 9th 2012: Dark Skye Launch Event: Destination Skye and Lochalsh presents Dark Skye Discovery starting at 7:30 pm at the Broadford Hotel, Broadford. £8 per ticket. 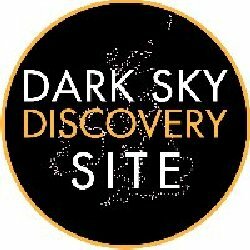 Nine sites on the Isle of Skye have been accredited with Dark Sky status, offering fantastic opportunities to view the wonders of the universe from sites with some of the least light pollution in Scotland. Destination Skye and Lochalsh presents Dark Skye Discovery on 9th March at 7.30 pm at Broadford Hotel, Broadford to coincide with Scottish Tourism Week. Prof. John C Brown – Astronomer Royal for Scotland – will lead the observations meeting and explain what to see on site, at the FCS car park Camas na Sgianadin, if the weather is clear, or offer an “Any Questions for the Astronomer Royal” session at the Broadford Hotel if it is raining. Saturday March 10th 2012: “The Magic of the Cosmos – A Matter of some Gravity”: A talk followed by Q&A with Professor John Brown of University of Glasgow starting at 7:30 pm at the Breakish Hall £5 / £2.50. Tuesday March 13th 2012: “Exploring the Dark Side of the Universe”: A talk followed by an observing session (weather permitting) with Professor Martin Hendry of the University of Glasgow starting at 7:00 pm in the Portree Library. Free.